To find an open textbook in your subject area, begin by searching the B.C. 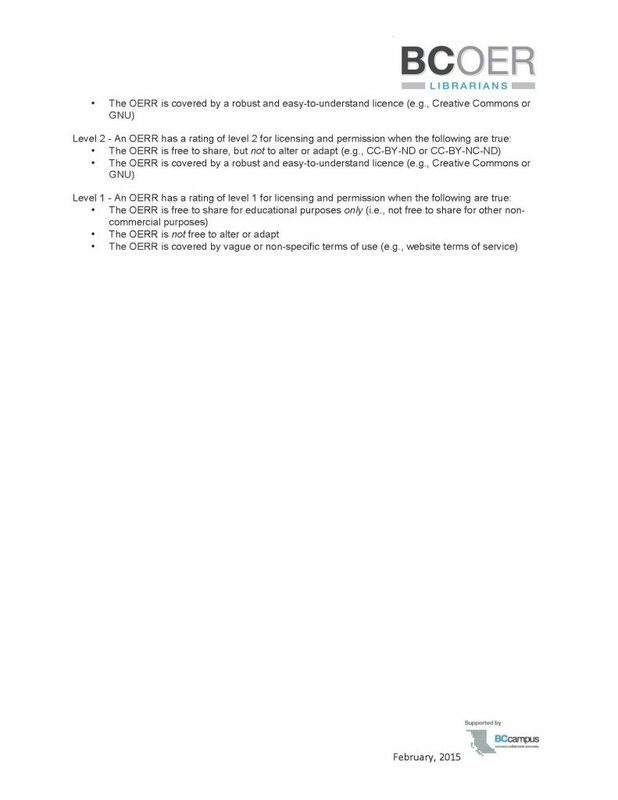 Open Textbook Collection. 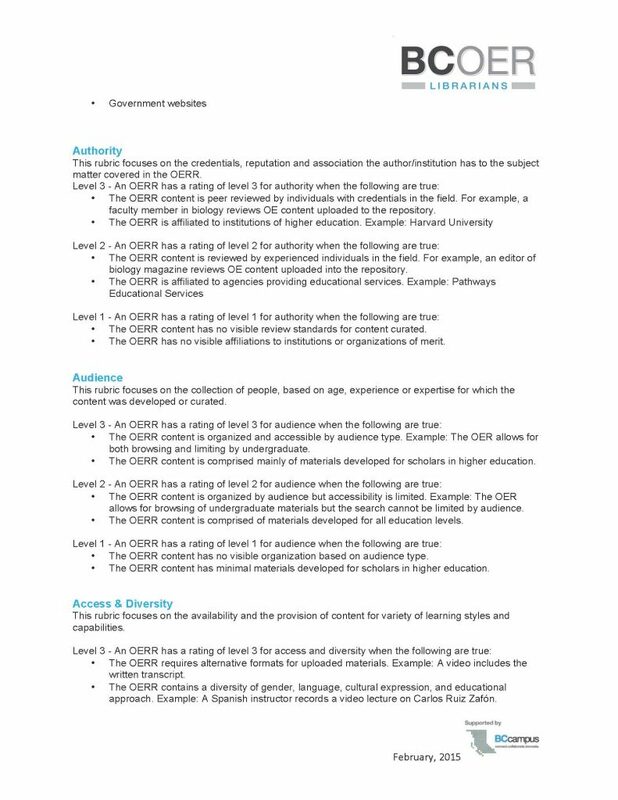 The Faculty Guide for Evaluating Open Education Resources, developed by the BCOEL, may be helpful. If you don’t find what you need, try looking in one of the many open textbook/OER collections and academic presses, listed below. 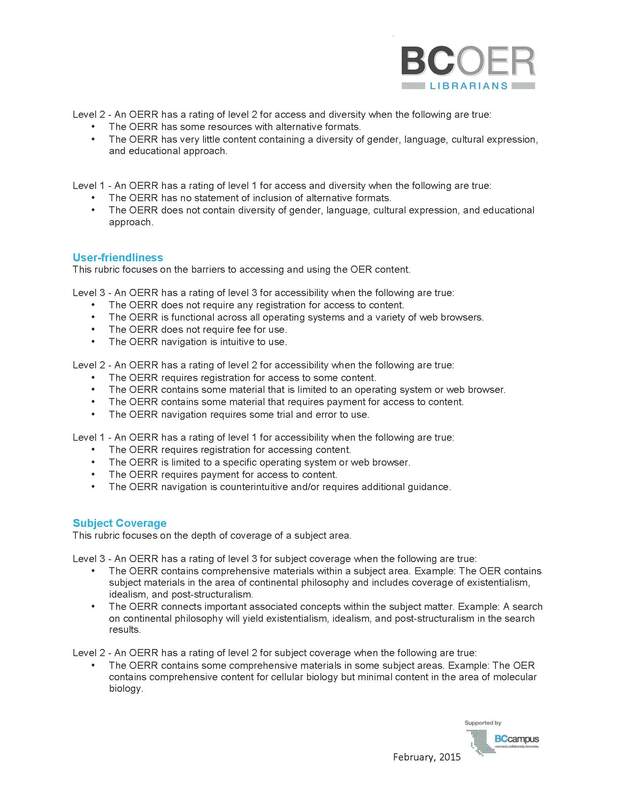 Ask your colleagues what OER they use. Conduct an advanced Google search: https://www.google.ca/advanced_search . 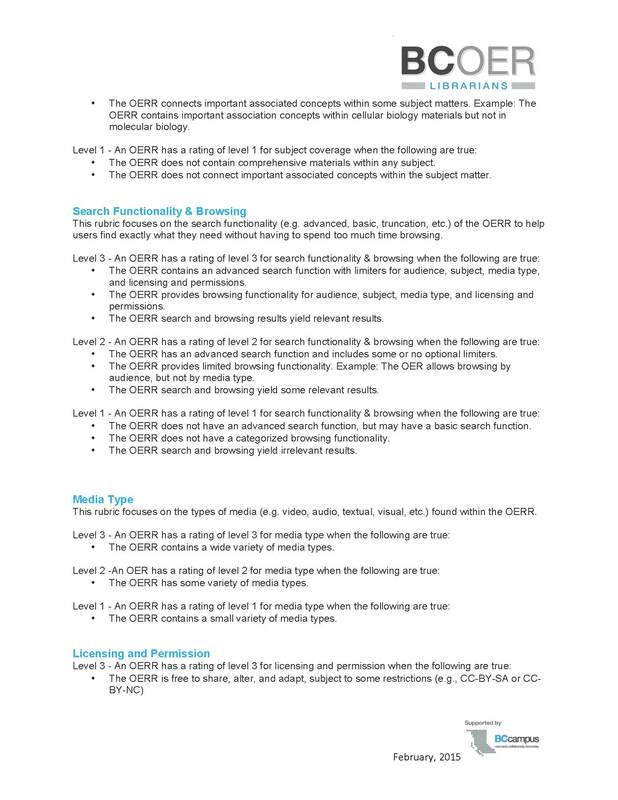 Have your students find open resources, do a content review, and post the results to your course website or Learning Management System (LMS). 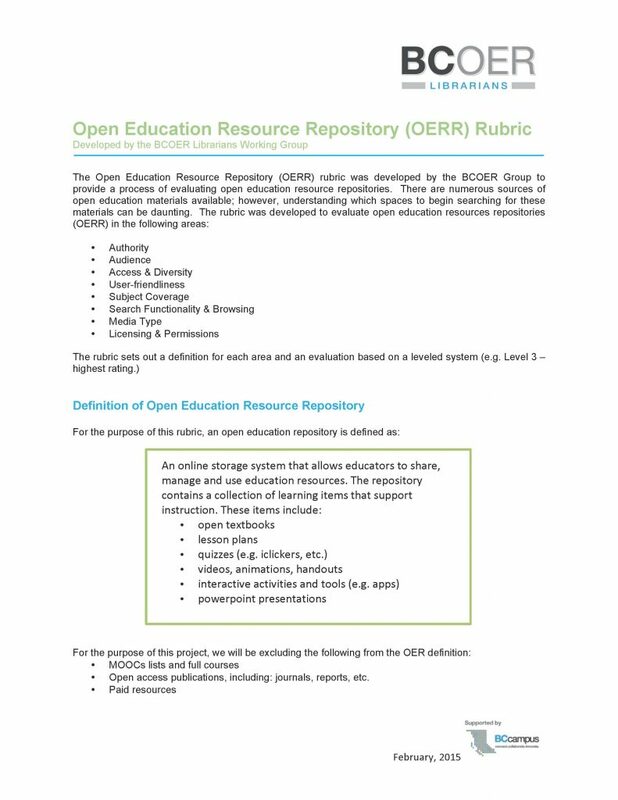 To help you assess the collections or repositories you are searching, refer to the Open Education Resource Repository (OERR) Rubric developed by the the BCOEL Librarians Working Group (previously BCOER). This document is listed below.